The word Sabbath is derived from the Hebrew word shavat, meaning “to cease and desist.” This definition gives us some indication of what Sabbath is all about. Sabbath is referred to a number of times in the Old Testament. In Exodus 20:1-17 and Deuteronomy 5:1-21, the observance of Sabbath on the seventh day of the week as a holy day is commanded. The passage from Exodus is part of a dialogue between God and Moses at Mount Sinai. In this dialogue, God lays down the purpose of the Sabbath as both a covenant between God and the people of Israel and a day of rest to be observed faithfully. As the Jewish faith developed, rituals for keeping the Sabbath also developed and evolved. Today, practicing Jewish persons observe Sabbath from sundown Friday until sundown Saturday. According to the Jewish calendar, Saturday is the seventh day of the week. In contrast, the early Christian church observed Sabbath on Sunday to recognize Christ’s resurrection and the work of the Holy Spirit on the first day of the week. In the Gospels, Jesus and some of the Pharisees (those who believe in the strict observance of the Law both inside and outside of the Temple) clash over how they understand the Sabbath. Jesus taught that the Sabbath was created for people to worship the Lord, not to discourage one from doing the work of the Lord. Keeping the Sabbath for Jesus was doing the work of the Lord, which for him was healing the sick and caring for the poor in spirit. The Pharisees did not agree. They understood that one keeps the Sabbath by ceasing totally from all physical labour, including what Jesus calls the work of the Lord. As the Christian church developed, so did Christian education and corporate worship, which is how we continue to keep the Sabbath today. We, as the Christian church, keep the Sabbath by ceasing or sacrificing our regular schedule and resting from the busyness of our lives. We attend Sunday school and worship where we embrace and feast upon God’s presence in our lives. 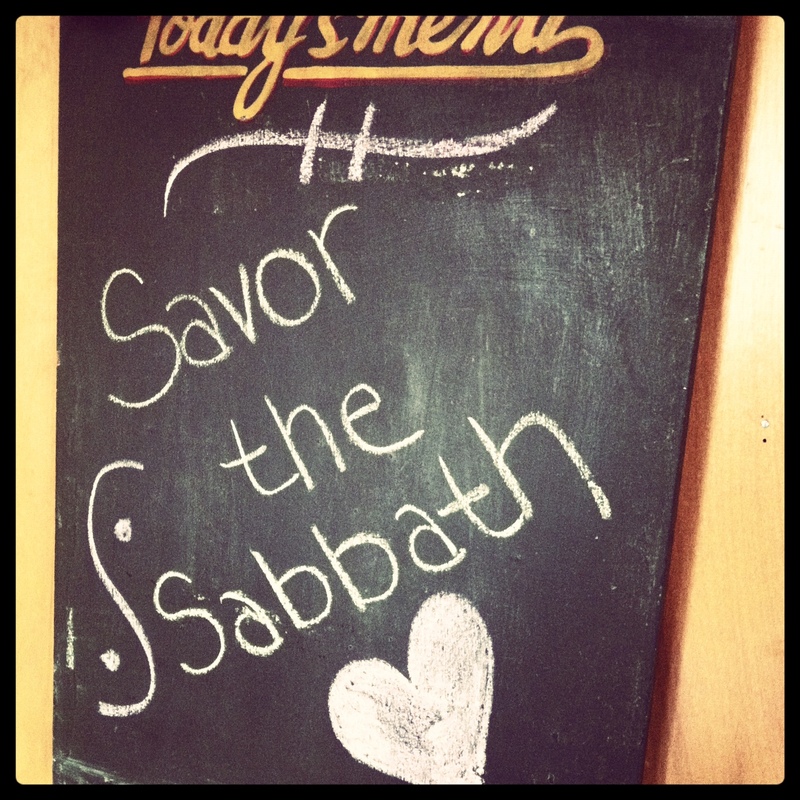 The idea that the Sabbath is not just for Sunday is not a new one. 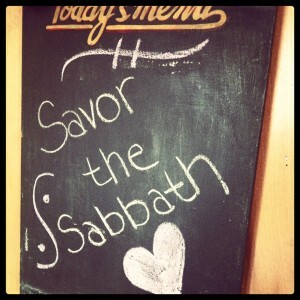 Sabbath can be observed at any time of the week you choose. As it is with other disciplines such as fasting, Sabbath is not just about what we don’t do but about what we choose to do with our time. In ceasing from the schedule of our everyday lives, we free up time to truly rest, to embrace wholly our relationship with God, and to feast on God’s presence in our lives. There is a sense, then, that we can somehow regain that time we spend on unfocused busyness to sanctify it and make it holy. Rabbi Abraham Joshua Heschel, in this book The Sabbath, shares this idea about regaining our time and making it holy when he calls the Sabbath, “a palace in time which we build.” Take some time to think about how you make your time holy on the Sabbath. The Sabbath is God’s gift to us so that we will always have a day to rest, play, and enjoy God’s amazing creation. Resting on the Sabbath does not mean sitting on the couch for twenty-four hours. Do you remember the last time you set aside a day for absolutely nothing? Do you have any hobbies or interests that you simply don’t have time for? How might you experience God’s rest while you spend time on your hobby? Before going to bed this Saturday night, read Exodus 31:13-17 and reflect on the busyness and work of your week. Make a list of ways you will cease from your work and truly rest on Sunday. Pray that God will give you the strength and ability to rest. On Sunday night write down your thoughts on what, if any, difference your Saturday night preparation made in helping you keep the Sabbath. Observe a time of Sabbath during the week if Sunday is too busy with church activities. On your chosen day of Sabbath, spend time doing the thing you live and thank God for the gift of Sabbath.